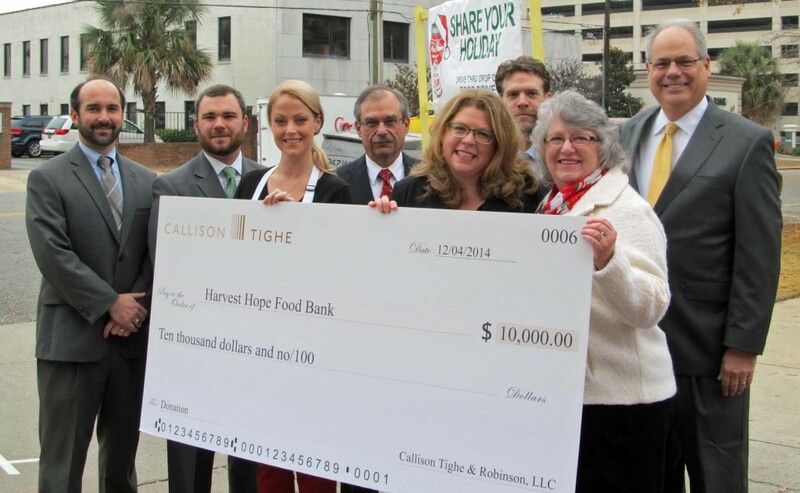 COLUMBIA, SOUTH CAROLINA – Callison Tighe has continued its commitment to hungry families in the Midlands with its sixth annual $10,000 contribution to Harvest Hope Food Bank. The firm’s attorneys and staff also donated their time, gathering to pack more than 100 boxes of nonperishable food that will be distributed to people in need during the holiday season. 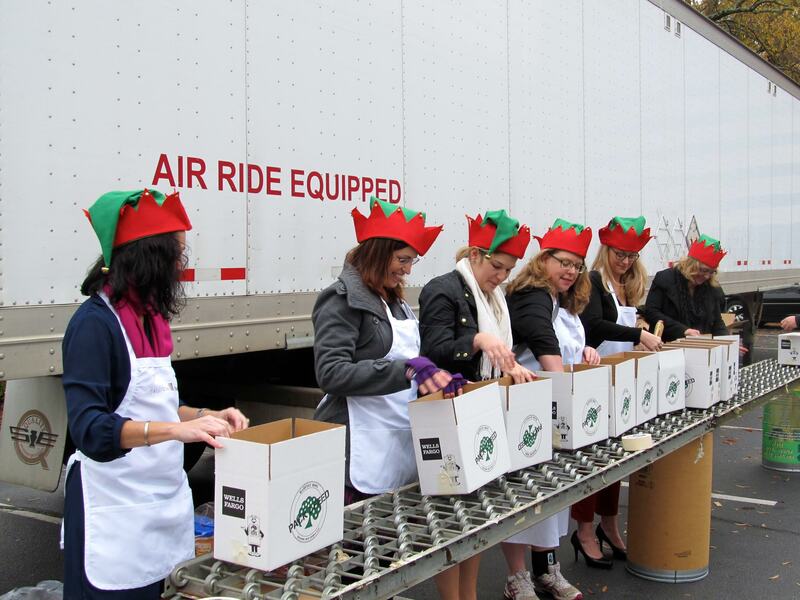 The donation to Harvest Hope is a tradition dating back to 2009 for the law firm. Without that assistance, many people in the 20 South Carolina counties the organization serves would face tough decisions. Harvest Hope says 71 percent of the people they assist have had to choose between buying food and paying for medical care, while 56 percent have had to pick between feeding their families and paying the rent. “Thanks to Harvest Hope, fewer people have to make those wrenching decisions,” Detwiler said. Harvest Hope feeds 38,000 people a week in partnership with 476 local agencies. The organization also serves as South Carolina’s primary emergency food relief, helping in areas struck by natural or man-made disasters. To make a donation or to volunteer at Harvest Hope, go to www.harvesthope.org or call (803) 254-4432.